Brightenex™ is a natural pigment control agent. A blend of potent retinol 0.5%, melanin inhibitors, vitamin C and antioxidants are released, to rapidly brighten and even skin tone quality. Additionally, this comprehensive multi-action formulation minimises redness caused by environmental factors and helps maintain an even and restored skin tone. 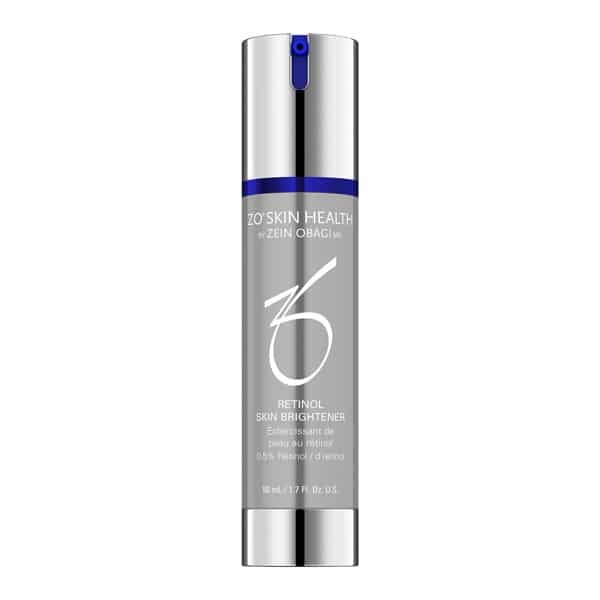 Non-hydroquinone, bioengineered complex that absorbs deep into the epidermis to target the stagesof skin discoloration. Multi-action formulation releases micro-encapsulated retinol, plant antioxidants and enzymes to rapidly brighten and even skin tone quality. Use 1–2 pumps evenly on face and other areas as directed by your physician. Start slowly and build use gradually. Apply twice a week and increase frequency to alternative days and then every day as tolerated. You may experience some dryness, irritation and peeling, which typically develops 3–7 days following the first application. Dryness and irritation will diminish as new, fresh skin is revealed. If irritation or burning sensation persists, temporarily discontinue use. Once irritation subsides, resume gradual use to build skin’s tolerance.